In almost every case, the seller will pay a buyer’s agent’s commission, so there is absolutely no downside for a buyer to use a real estate agent. What you will gain, though, is invaluable: insight into the market, experience in knowing a good deal from an overpriced one, help with the negotiating process, a great referral source for home inspectors, lenders, attorneys and more. A good agent is the glue that holds a deal together. Notice I said find a “good” agent. There are a lot of real estate agents out there, but not all of them are good. Make sure your agent is thorough, follows up, knows (and respects) your likes and dislikes, and make sure he or she is willing to screen and preview properties based on those likes and dislikes. If you’re buying investment property, make sure your agent has experience in buying and selling investment property. It would be best to find one that actually owns his or her own investment property as well. If you don’t have a good working relationship with your agent, the process can be frustrating and tedious instead of easy and fun, so choose well! You want to find a good attorney who is experienced in your market. Your attorney will protect your legal interests and, along with your agent, will help guide you through the process. The attorney and his or her staff should be knowledgeable, dependable and reachable by phone and email. Do not pick your attorney based on price! Just like there are plenty of real estate agents out there, there are plenty of real estate attorneys out there as well, and not all are good. If your attorney is charging a cut rate, then several things are probably true: (1) the attorney has too much volume to pay you any attention, and (2) the attorney doesn’t value their own time (which should tell you something about the quality of the work). You will likely pay around $500 for a quality home inspector. Expect to pay a little more for an quality attorney. Remember, your home inspector will work for one day; your attorney will work for 30-60 days or longer! The same advice applies to lenders. There are some great lenders and brokers out there, and there are some that seem to be in business to delay and kill deals. A good agent or attorney will know a good lender, so don’t be afraid to rely on referrals to build your real estate team. Regardless of who you choose, stay on top of your lender. Be a squeaky wheel (but not an annoyance) and make sure your lender is ready to meet your contract deadlines. Many contracts now require you to fully apply for your mortgage in five days, so gone are the days of shopping for weeks with different lenders to test the waters. Find a good lender and get to work right away, as government regulations have made the process more tedious and drawn out. Your attorney should work with you and your lender to ensure you do not miss any critical deadlines, such as your mortgage contingency date. You will also want to quickly find a good home inspector as well. You should also perform a radon test, which may or may not be performed through your general home inspector. Here, again, your real estate agent or attorney can be a valuable referral source, as they usually have experience with many different inspectors and can recommend a reputable and reliable inspector to examine your prospective purchase. If the inspector finds defects and problems, you can raise those items with the seller during attorney and inspection review, typically within 5 business days of the acceptance date on the contract. This usually takes one of two forms: (1) asking for repairs; or (2) asking for a repair credit. There are typically three situations where you might insist on the seller performing repairs prior to closing rather than receiving a repair credit: (1) if a problem presents an imminent danger to persons or the property (such as a leaky pipe, gas leak, elevated levels of carbon monoxide or radon and the like); (2) the repair costs are difficult to estimate (such as situations where some destructive action must be taken to fix the issue, like tearing out drywall or flooring); or (3) your lender will not allow any (or a sufficient level of) credit at closing. In these situations, be sure your attorney insists any agreed repairs are performed by a licensed contractors with all necessary permits obtained, and with paid receipts and/or lien waivers provided to you at or before closing. Otherwise, it is almost always better to negotiate a repair credit, as doing so avoids the following problems we see with seller repairs: (1) the seller “forgets” to do the repairs, and you do not learn of this until just before closing (creating all kinds of issues); (2) the work is not done correctly or to your satisfaction; (3) the seller fails to provide appropriate paperwork; (4) other problems (e.g. scratched floors, damaged walls) arise as a result of the repair work; and (5) warranties not necessarily being transferrable to you. If you take a credit and do the work yourself after closing, you choose the contractor and have control over the project and its performance. With the seller doing repairs, you are trusting the seller to act as your general contractor, and most sellers are not up to this task. The question we are most often asked is, “How much of a credit should I ask for?” This is a question attorneys and real estate brokers cannot ethically answer; how much you should pay or demand for repairs is entirely up to you. The best advice your attorney and broker can give you is to obtain as many estimates as possible for the work, or at the very least ask your home inspector for his thoughts. Be aware that any figures you obtain will be estimates only; the final cost could vary depending on many factors. You can ask your seller to allow you to reinspect the property with your choice of contractors for the purpose of obtaining such estimates, but the seller does not have to agree. If you reach a stalemate on the issue during attorney and inspection review, you should still be able to terminate the contract and receive a refund of your earnest money, but be sure to consult your attorney at every stage to protect your interests. Many buyers (and even some (bad) lenders) do not understand what a mortgage contingency date truly represents. If your contract contains a mortgage contingency, this means you have until a certain date to satisfy yourself that you will be certain to obtain a loan on your property. If by this date your lender will not give you what is commonly called an “unconditional mortgage commitment” (in short, a contractually binding written promise to loan you money for the purchase), then you do not have a guarantee that the lender will provide you the funds to complete your purchase. If you arrive at the mortgage contingency date without this commitment (or with a conditional commitment), then you have one of three choices: (1) proceed at your own risk with the purchase, but realize that if your lender decides not to fund your loan and you do not have the cash to complete the purchase, you will be in breach of contract with the seller and can be sued for damages (including, but not limited to, loss of your earnest money); (2) use your mortgage contingency to cancel the contract and obtain a full refund of your earnest money; or (3) request an extension of the deadline from the seller, which the seller may or may not grant in their full discretion. Remember, time is of the essence in all real estate contracts, so deadlines and closing dates are to be taken seriously. There is no requirement that the seller give you more time to obtain your loan. As a buyer, you might think that finding the right home and signing the real estate contract was the end of your job. In truth, your work is just beginning. When making your offer, you should already have your lender and attorney chosen and retained. When the seller accepts your offer, creating a contract, you will need to immediately schedule your property inspection(s), radon test and communicate any contract concerns (or requested changes to the contract) with your attorney. Most contracts allow you five business days to complete your inspections and request modifications to the contract (including requested repairs or credits for condition issues) – don’t wait until the last day. At the same time, you need to be communicating with your lender and beginning your application process. Remember, you also have five days to apply for your loan. Shortly after the attorney and inspection review periods end (or sooner, check your contract), you may need to pay additional earnest money as well. This is where a good agent really shines – he or she will help guide you through this tumultuous early period and ensure you perform those tasks on time. Always respond to your attorney, agent and lender’s requests for information or decisions in a timely manner – these professionals are working under deadlines as well, and most often need your final approval on various items before they can proceed. Don’t crawl into a shell and expect that your deal will be alright without your participation. If you might want put your property into a trust, company or other type of ownership, let your agent and/or attorney know right away. If you are looking to make sure someone can’t search your name in the public records and find your ownership interest in the house, then you must set up your trust or company immediately, inform your attorney and inform your lender. If you close on a home in your own name and later transfer it to such a trust or company, your name will still appear in the chain of title for eternity. If you later decide for asset planning or estate planning purposes to transfer your property into trust, that can be accomplished by your attorney with relative ease and low cost. If you found a good agent, he or she will coordinate a walkthrough of the property shortly before closing to ensure it remains in the same condition it was in at the time of your inspection. DO NOT SKIP THIS STEP unless you are tearing the house down and do not care what condition it is left in. Even in such a case, it is always a good idea to at least make sure no squatters have taken up residence in the home. Any damage or broken appliances should be documented (use your camera phone!) and shown to your attorney at closing. Also, use this time to check and make sure the seller made any repairs required of him or her during the attorney and inspection review process. Your attorney will raise any issues and seek a resolution for you, usually involving a credit of some kind provided to you at closing. 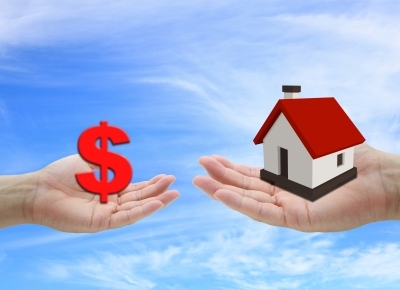 Most people need the funds from selling a property in order to purchase their next property. If that describes your situation, you may need some careful planning on closing day. If you are able to secure even a day of post-closing possession from the buyer (essentially, renting back your own house for a period of time after closing from the buyer), you can use that time to then close on your purchase and move your items to the new home. If not, in most cases you can pre-sign documents and give your attorney what is called a “power of attorney” to close your sale without your presence (while you coordinate your move). Most of the time, you will need to be present for your purchase transaction, although some lenders allow a power of attorney to sign the loan documents. Be prepared to pay your attorney an additional fee for this service, however, as the industry standard expects you to attend each closing and sign your own documents. Speaking of moving out, you should be aware of and respect the contract requirements that you must be completely moved out by the time the closing begins, preferably sooner so the buyer can conduct an effective walkthrough. Too many sellers mistakenly believe they have until midnight of the closing day, or that the buyers will “just have to understand we couldn’t move in time.” Failure to present the home in broom-clean condition by closing is a breach of contract. Plan your movers well in advance, and if you have a 9:00 a.m. sale closing, you may have to pay to have your stuff moved out the night before and stored on the mover’s truck overnight. Trying to cut corners and save a buck on movers can cost you a lot more at the closing table. Thanks for the sensible critique. Me &amp my neighbor were just preparing to do a little research about this. We got a grab a book from our local library but I think I learned more from this post. I am very glad to see such great iniomratfon being shared freely out there. Thanks for the information regarding real estate and what to consider when buying. One thing that I got from reading this article was that making a purchase on a home or land is really a team’s decision. It is important to consult with your family, your lawyer, and your real estate agent. The agents probably know best about the area! Thanks for posting! I totally agree that picking an attorney depending on the price is a bad strategy. I am going to buy a house, and I will make sure to pick a specialist based on his experience. Thanks for the advice!